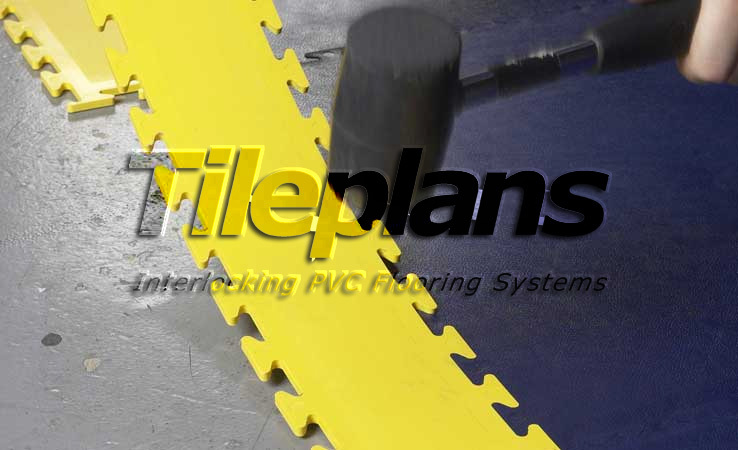 TilePlans’ PVC industrial flooring systems represent a practical and customizable solution for those conscious of the need for a durable industrial floor covering to meet both current and future health and safety legislation. Ever-increasing health and safety legislation means industry bosses must seek compliant industrial safety flooring systems – now and for the future. 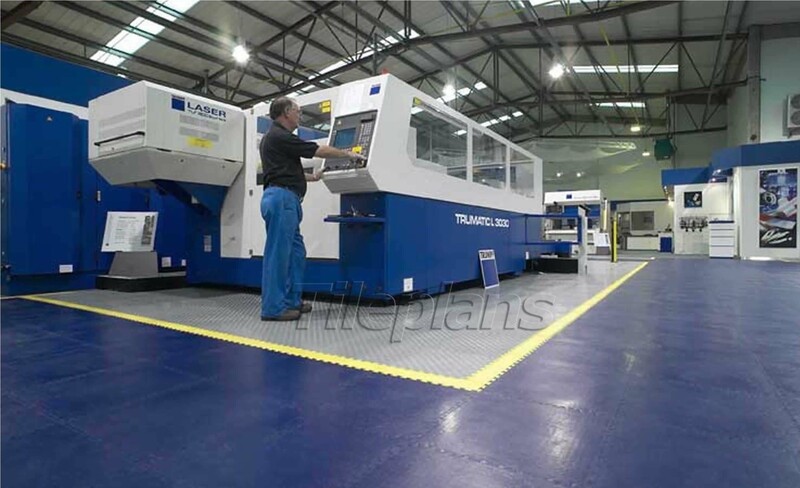 You can effectively create your own customised health and safety floor by using TilePlans line marker and clear logo tiles into your industrial floor covering to meet regulations and by using TilePlans sloped edging ramp tiles for ease of access at entry points. 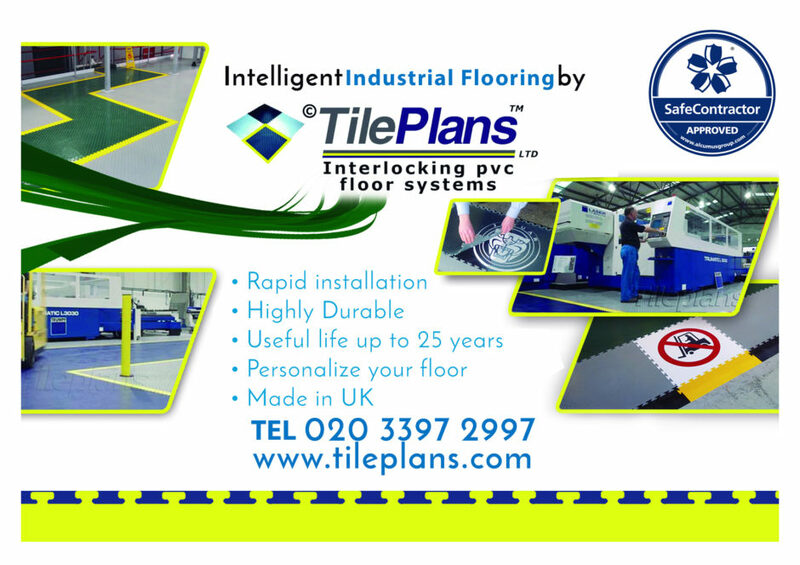 All the TilePlans industrial flooring tiles fit neatly together and are loose laid so rapid installation means costly downtime is minimised. There are cost benefits too. 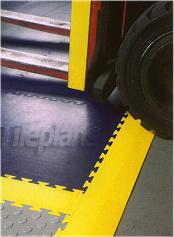 The layout of your TilePlans health and safety flooring system can be quickly and easily changed. If you need any more tiles you need only order the additional tiles, not the whole floor. 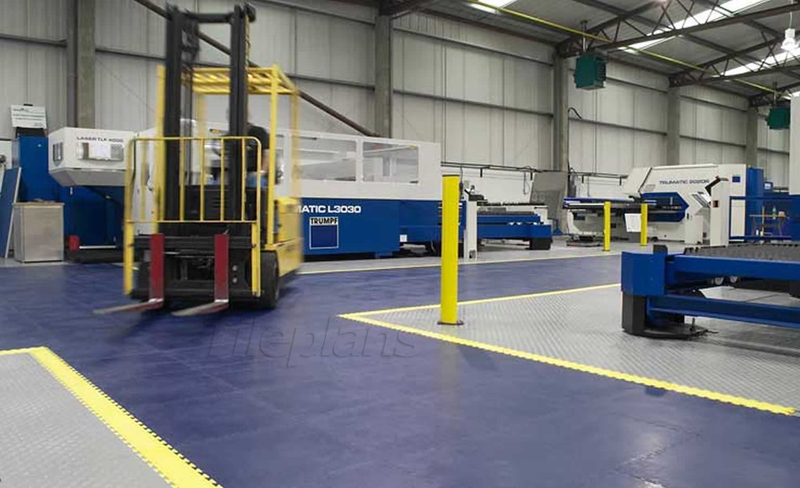 Bob Irons, who purchased TilePlans’ industrial flooring solution for Canterbury-based greeting card publisher Noel Tatt, has topped up his original order for industrial floor tiles and extended his floor adding safety floor logos. This entry was posted in Industrial Flooring and tagged forklift area flooring, health and safety, Industrial Floor, industrial floor covering, Industrial Floor tiles, Industrial Flooring, industrial flooring solution, industrial flooring systems, Industrial Floors, Interlocking Floor, rapid installation, robust, Safety Flooring, safety flooring tiles, Safety Line Marker. Bookmark the permalink.